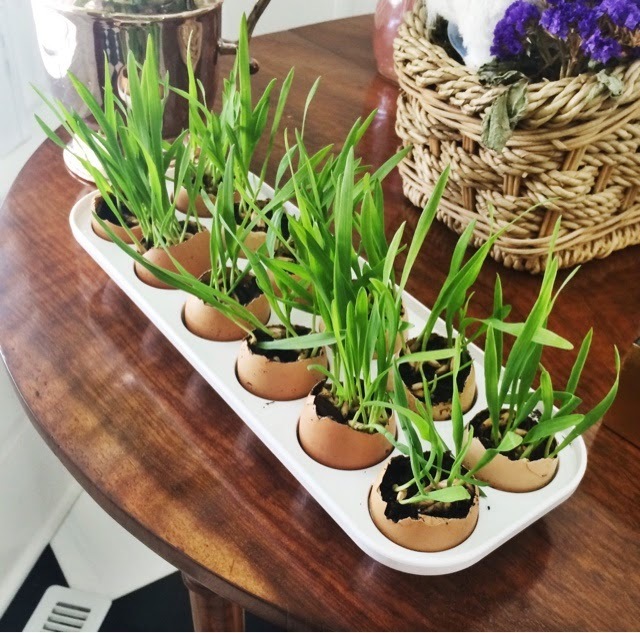 Would you like to see a post on how I created these cat grass eggs on the blog?! Spring is finally here to stay (I think) and I could not be more happy! The weather is finally warm and everything is slowly turning green! I hope that you all have a great Easter with your family and friends! 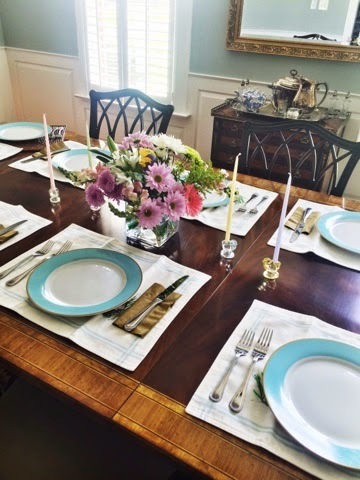 Today, I want to share with you a few pictures from our Easter Brunch for all the ladies in my family! 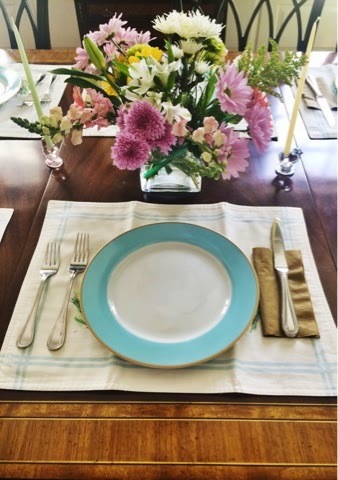 The afternoon was filled with delicious food, fabulous decor (arranged by my mama), beautiful flowers, wonderful family and of course lot’s of champagne! 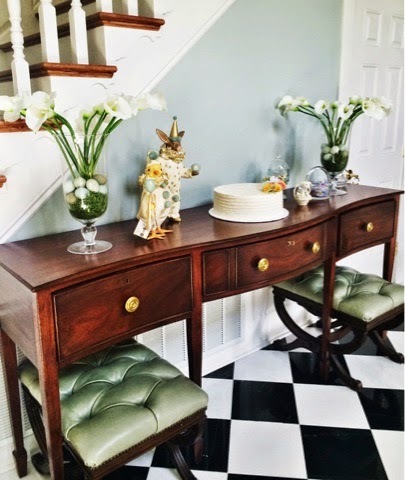 My mom decorated such a beautiful table with the help of Williams Sonoma’s easter decor! I was so obsessed with these plates my mom purchased that I had to pick up four of the lavender one’s for myself! They were on sale so that helped my decision! My mom arranged these flowers last year with some eggs and moss! She is so creative and talented. I pray one day I can be half as creative as she is! Not to mention, my momma can cook! 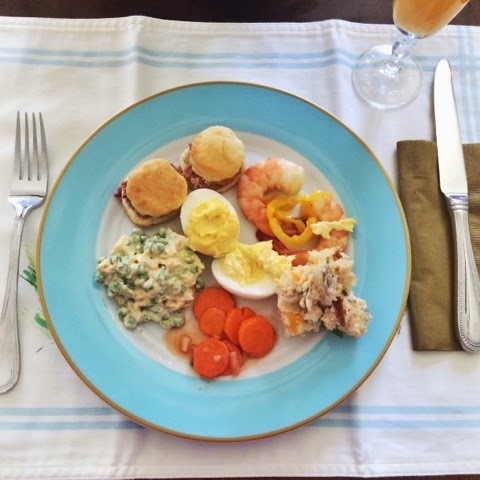 Our menu consisted of pea salad (recipe here), copper pennies -carrots, loaded baked potato salad, deviled eggs, ham biscuits, pickled shrimp, and quiche. I would love to share our favorite recipes with you! If you would like to know the recipe for any of thing shown, please let me know! 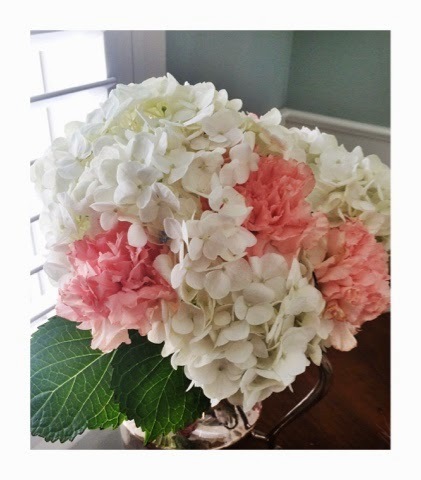 I picked up some white hydrangeas and pink carnations to make this simple arrangement! I love simple arrangements so much more than something that is too busy. The bar set up. 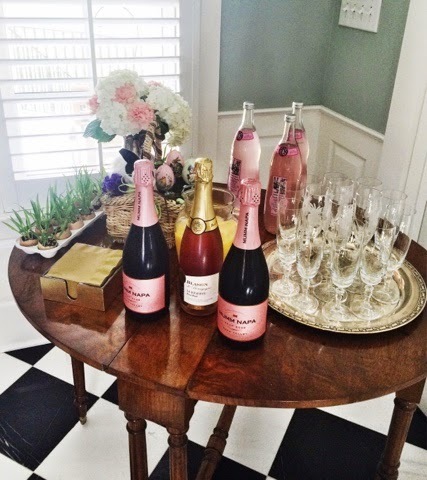 Champagne, OJ, champagne flutes on a silver tray (my favorite way to set them up! ), cocktail napkins and more! 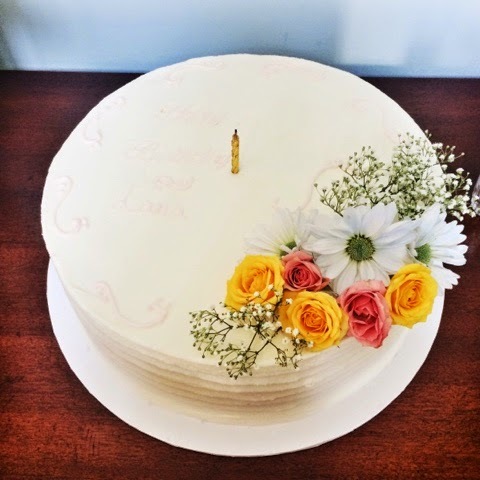 It just so happens that the same day we held our brunch was my Aunt Lana’s 75th birthday! I hope that you all had a blessed Easter! I will see you soon!